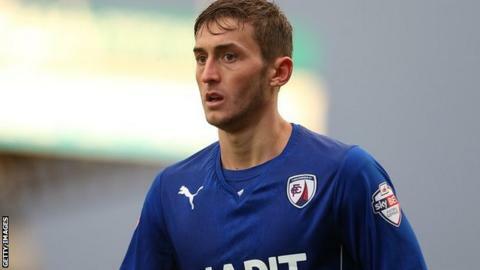 Chesterfield midfielder Ollie Banks has extended his deal with the League Two champions until 2016. Banks, 21, scored nine goals in 33 games this season after joining from FC United of Manchester in September. The Spireites have offered new contracts to five players including Professional Footballers' Association chairman Ritchie Humphreys, 36. Defenders Sam Hird and Nathan Smith, winger Jay O'Shea and striker Marc Richards have also been offered deals. Defender Matty Brown, midfielders Sam Togwell and Jamie Devitt and striker Jacob Hazel have been released. Chesterfield boss Paul Cook told the club website: "All of the players have made a contribution and we would like to thank them and wish them the very best for the future.